Cutthroat competition between railroad companies to lay track through the Royal Gorge territory is threatening to escalate into all-out war, with hired guns on both sides trading lead. If one man can bring peace to the territory, it's half-Lakota lawman Joshua Strongheart. 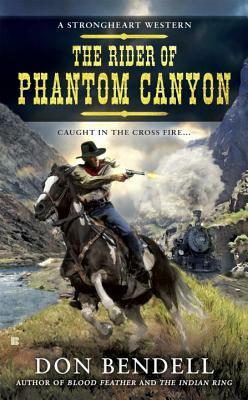 Already looking into tales of a mysterious lone rider haunting Phantom Canyon, Strongheart braces himself to face down an army of gunfighters. But his most dangerous quarry may be a ruthless businessman with a one-track mind and a heart blacker than coal.